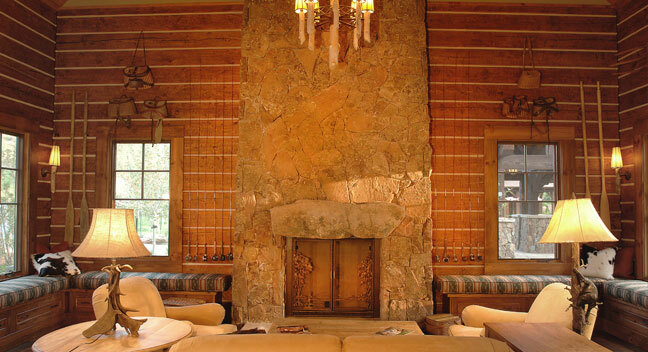 A ranch preservation project, the Marabou Ranch offers 62 home sites and this chicly rustic lodge. Custom suede chairs envelop tired fishermen in the Outfitters' Center. 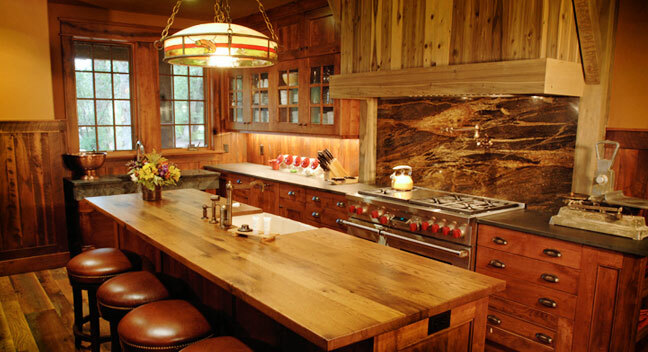 Green design rules in the lodge's kitchen with its reclaimed cherry cabinets and reclaimed oak counters. 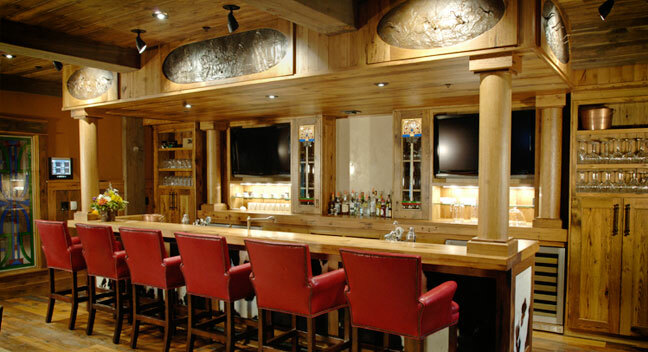 The highlights of saloon life (Western style) grace three custom bronze plaques over the bar in the lodge. 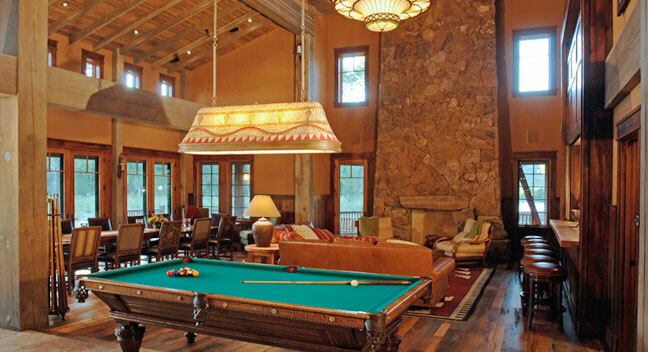 How best to highlight an antique pool table? 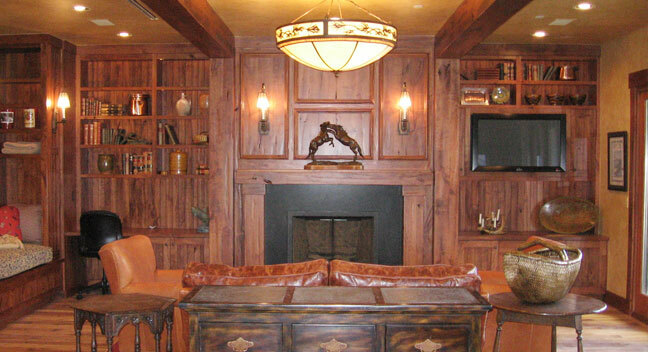 With a Native American themed custom light fixture. 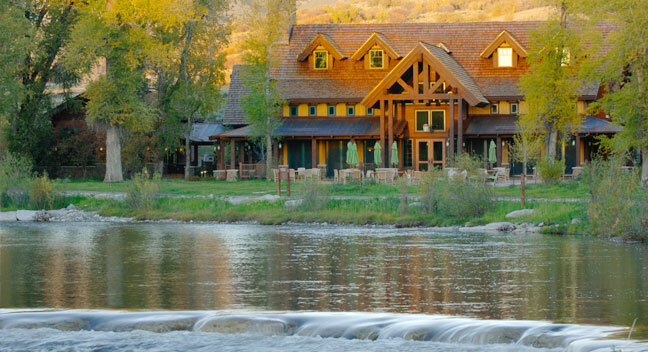 At the base of Steamboat Mountain sits the Marabou Mountain Camp, a haven for skiers. 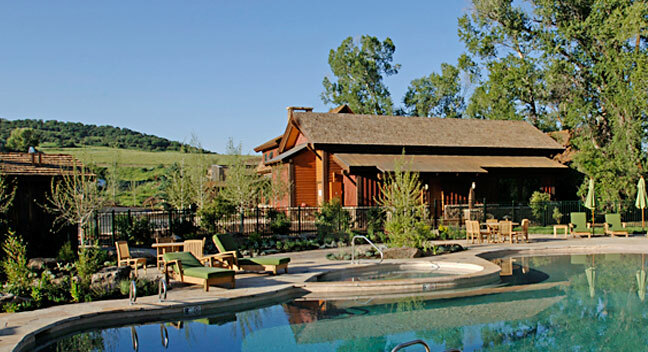 A sandstone edge and deck frame out the free-form pool near the workout center.